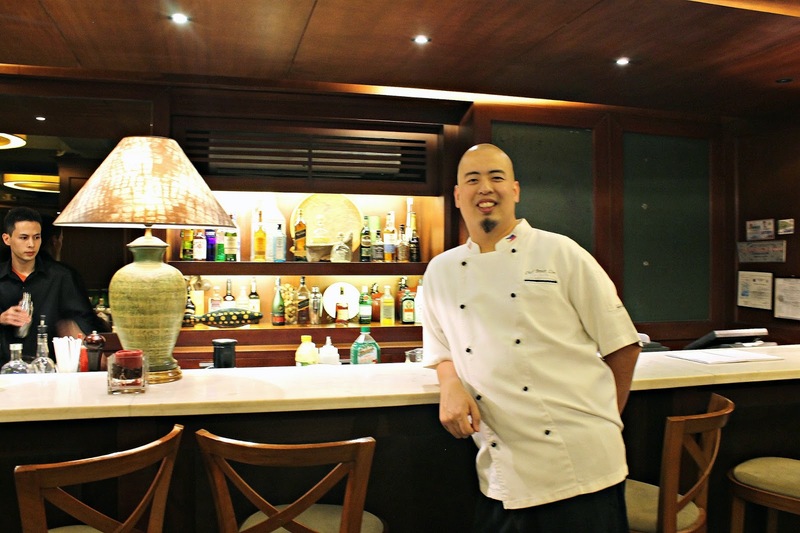 Chef Bruce Lim has been our favorite celebrity chef in the Asian Food Channel. 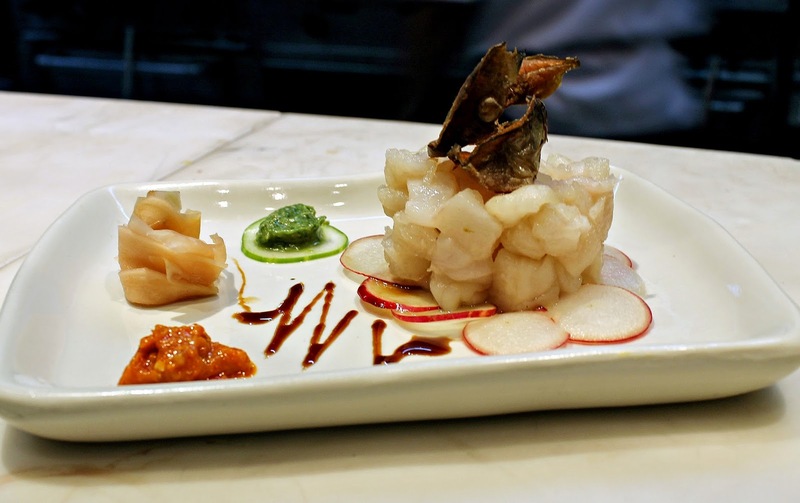 Now, Chef Bruce Lim is back and busy in the restaurant scene with his new business venture, Rustique Kitchen. In partnership with Mr. Tonyboy Couangco and Gretchen Barretto, Chef Bruce Lim recently opened this posh restaurant that serves affordable dishes. 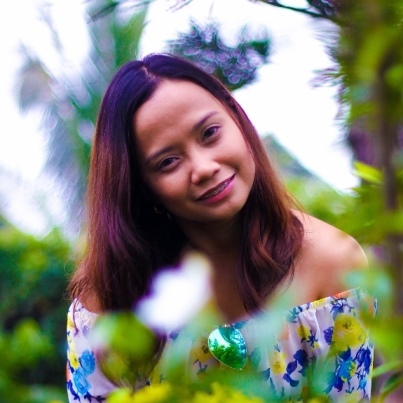 As he said, Filipino cuisine with a western touch was the main concept of his restaurant. Along with other food bloggers, We went to Rustique Kitchen to meet the hands-on chef and chat with what inspired him with Rustique Kitchen's menu selection. I usually don't eat ceviche because it usually upsets my stomach because of its acidic nature. Chef Bruce Lim's version of ceviche, which is lapu lapu marinated in a citrus vinaigrette, was one clean tasting dish. My stomach approves! I don't eat tripe, just a personal preference. Though I enjoyed the salad and the fritter. It tasted like pata croquette. A nice dish for starters. This dish is one of my favorites that night. 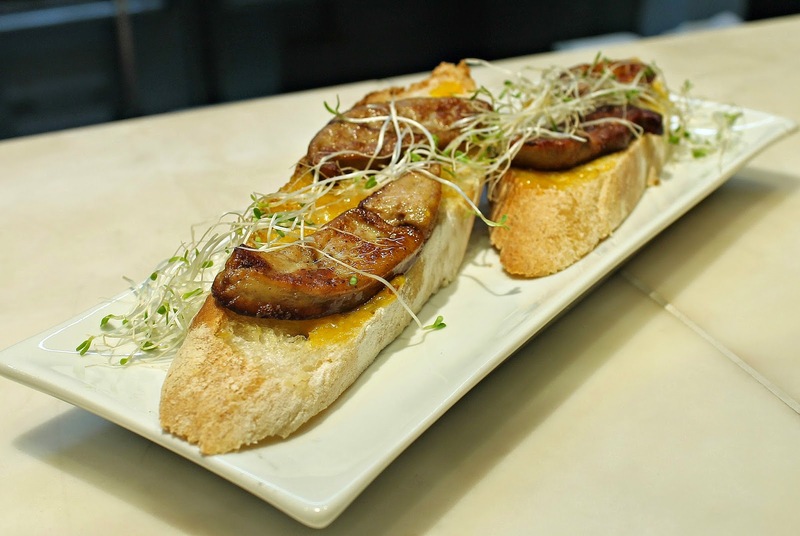 Made of crispy bruschetta with mango jam spread topped with seared foie gras and sprouts, it sure is one interesting dish.  It has that sweet and tangy taste. 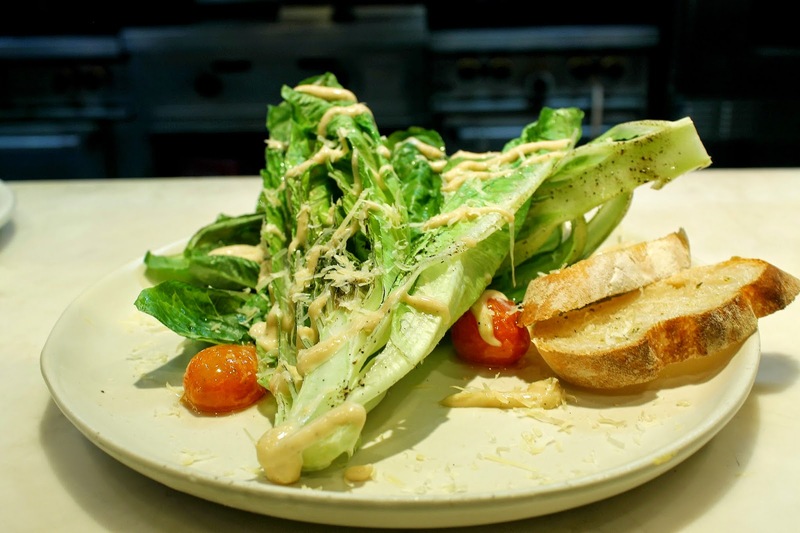 The Caesar Salad consists of humongous romaine lettuce dressed with roasted garlic Caesar dressing, cherry tomatoes and queso de bola shavings. The lettuce was crunchy and tasted fresh. Tortang talong is our favorite Filipino comfort food. 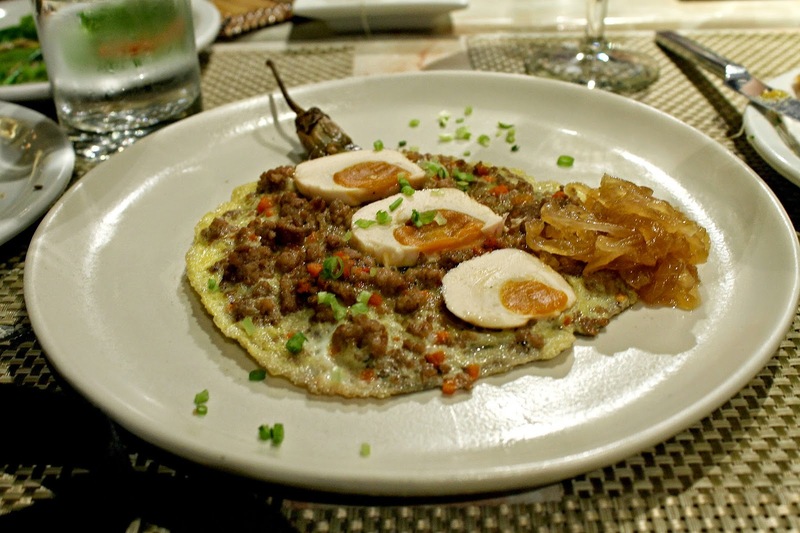 It is made of sauteed pork with egg and grilled eggplant topped with salted eggs and caramelized onions as a side. My mom still makes the best tortang talong for me. But still, High five for Chef Bruce Lim for including this dish in his menu. 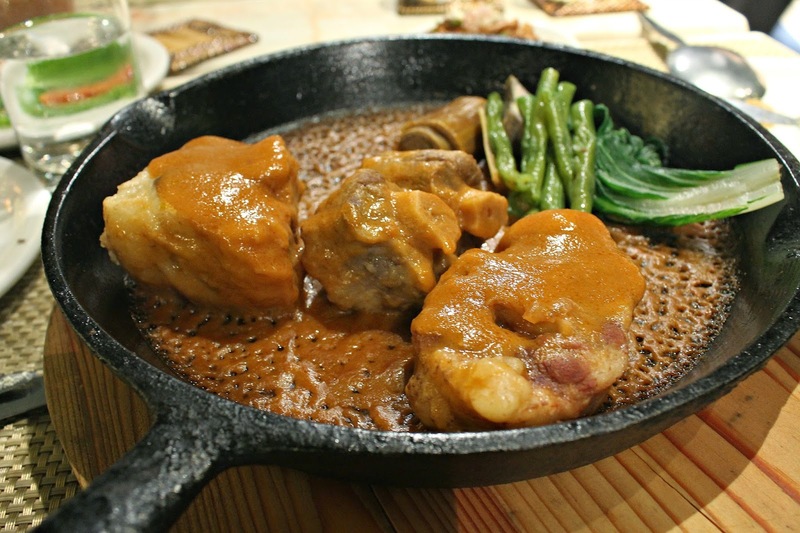 Kare Kare is an all time favorite Filipino dish, The tender beef was simmered in peanut sauce on a hot plate with tripe salad as a side, topped with fresh onions and cheese with a side of potato pave and tangy cream sauce. I loved munching on those oh-so-tender beef. 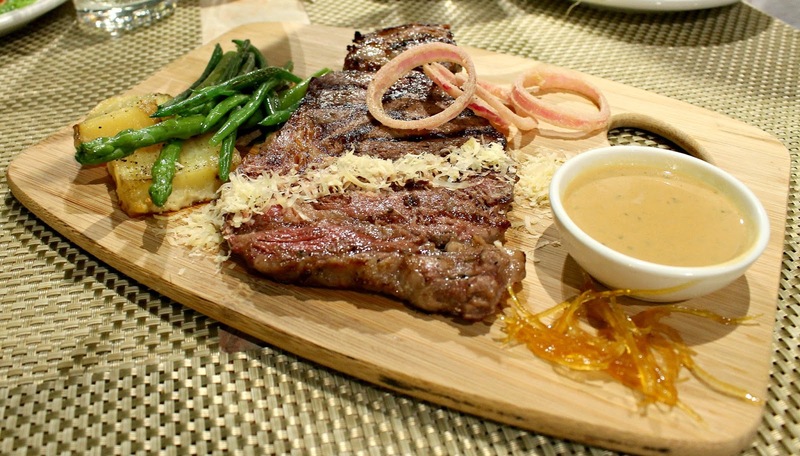 Grilled USDA beef rib eye for less than a thousand bucks will surely make those steak lovers and carnivores rejoice. A generous serving of grilled USDA beef rib eye with a side of potatoes and french beans and interesting gravy will surely make you salivate. 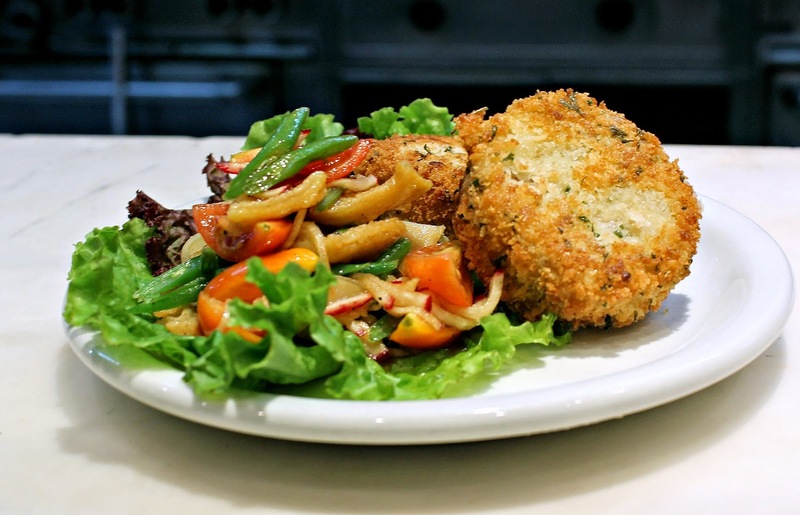 This dish is lapu lapu baked in lemongrass marinara with marbled tomatoes topped with caramelized onions and sauteed french beans topped with fried fish. The lapu lapu was moist and delicious. It is slow braised ox tongue served with mushroom duxelle with caramelized onion cream sauce. 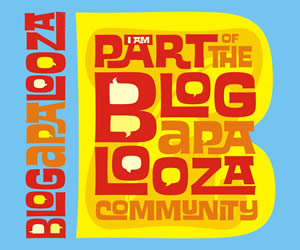 The name sound a bit foreign, All along while I was munching on it, I thought it was lengua pastel. 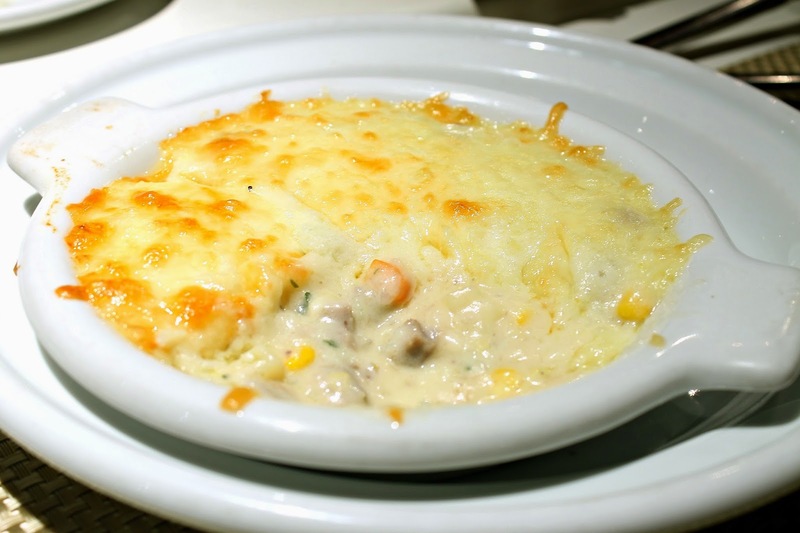 But this dish was so creamy, I loved it! 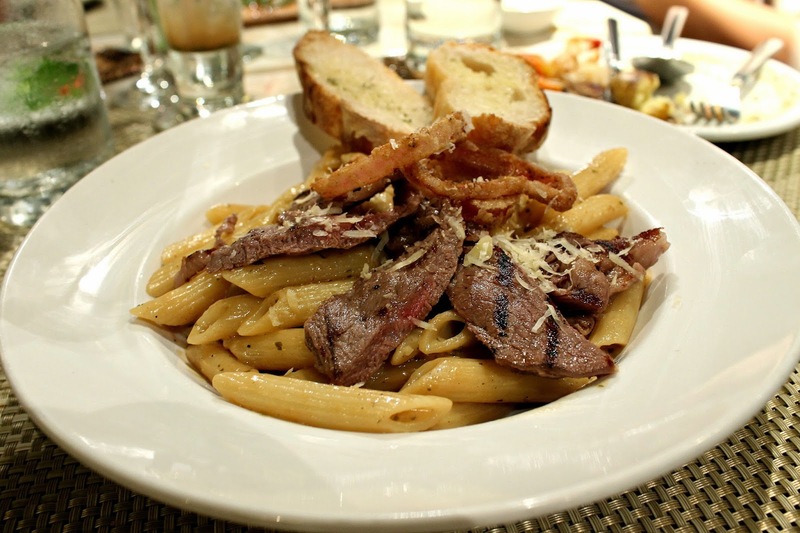 This pasta consists of penne tossed in creamy citrus sauce with grilled steak, caramelized onions and mushrooms. Though it didn't taste anything like beef steak (except for the real steak bits), the pasta covered in creamy citrus sauce sure was tasty. This is a new offering as Chef Bruce Lim is planning of Slab Specials with one kilo of serving of steaks, ribs and seafood. Best ordered for large groups of diners. As for desserts, Rustique Kitchen only has 3 dessert options in the menu. But these three will surely satisfy your sweet tooth none the less. Chef Bruce Lim's Signature Buko Pie is made of warm deconstructed buko pie with crumbs of bread in the bottom that was served in a glass. The buko pie tasted too sweet for my liking and I wished there were a bit more crumbs in the bottom to somewhat neutralize its sweetness. 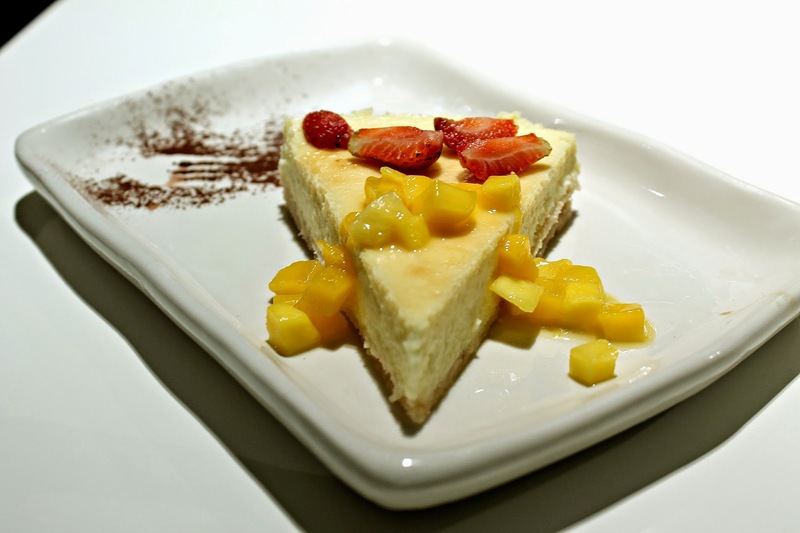 Rustique Kitchen's Quesong Puti cheesecake is a classic baked cheesecake with macerated mangoes and strawberries. It tasted just right and the fruits were a good choice as toppings. The fruit gives the natural sweet flavor the cheesecake needs. 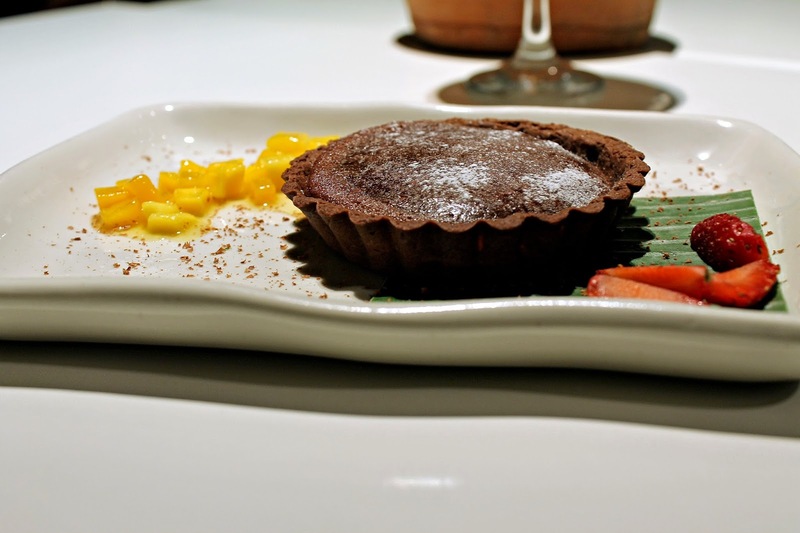 Their Warm Chocolate Tart was bursting with cocoa goodness one you dig into its core. This is not your usual moist choco fudge that is sweetened with sugar. It tasted like our local tablea chocolate, which tastes like dark chocolate. Yum! 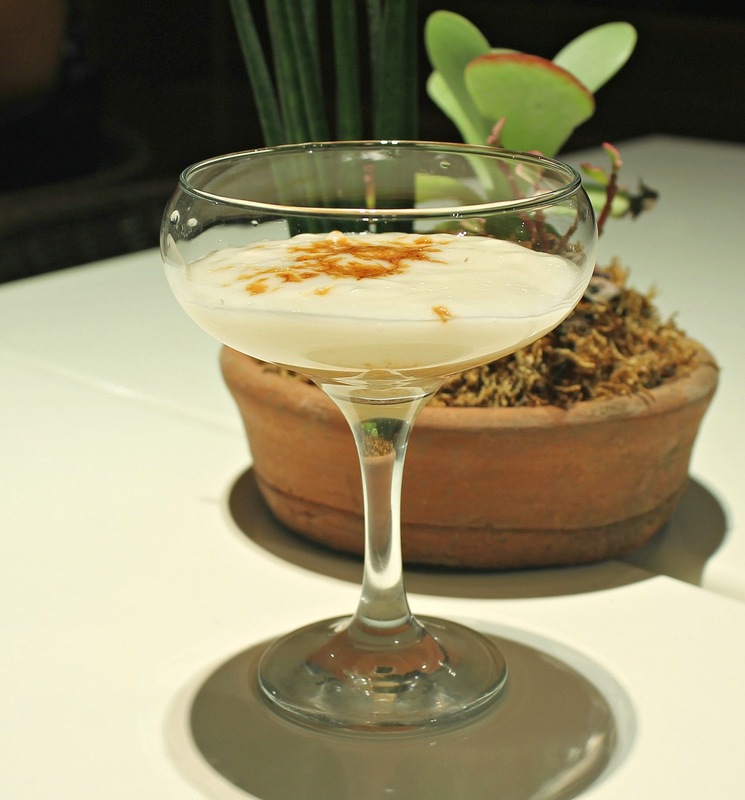 Rustique Kitchen also serves beverages that match their dishes. 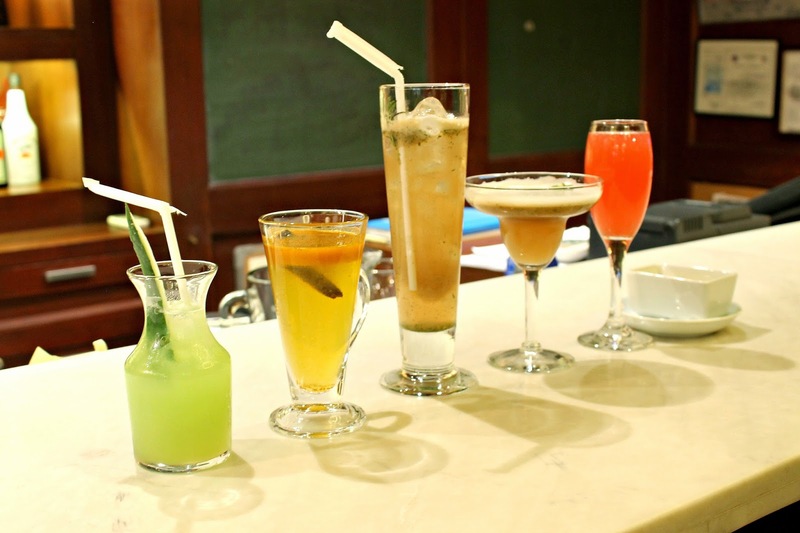 They have an ample wine selection and a full functioning bar in which you can order any drink you like. We sampled all their mocktails which was a good alternative if you don't feel drinking alcohol. Overall, it was a pleasant experience. 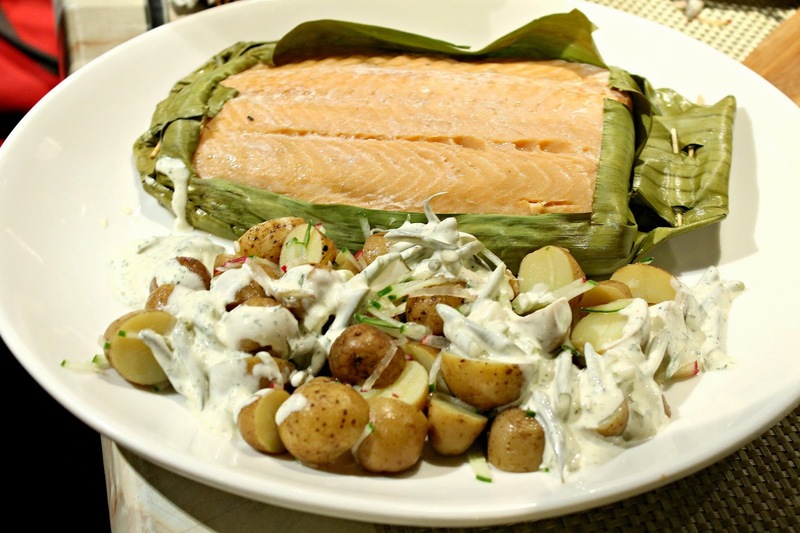 Impress your date by bringing him/her to Rustique Kitchen. 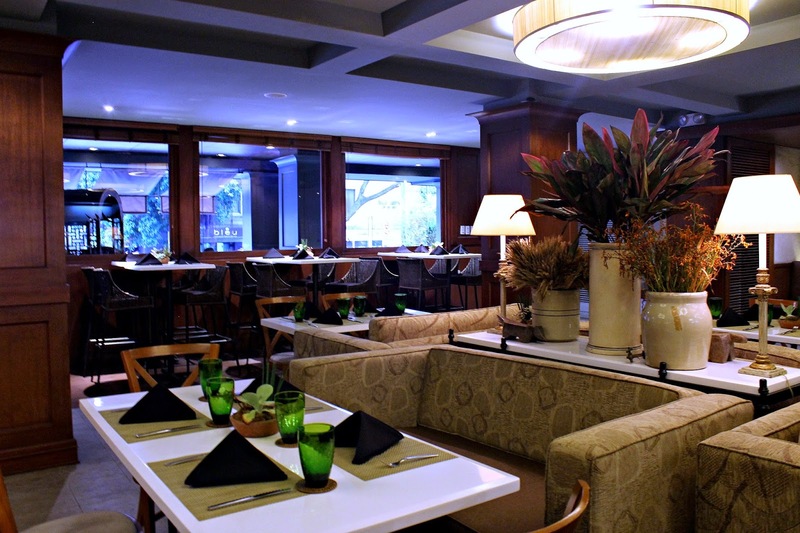 With its posh and very hotel-ish atmosphere, you'll surely enjoy the atmosphere and their food without breaking the bank. Order their steak and sample their Slab specials. Enjoy the food along with good company.